Why will future companies laugh at us? - The AIM Institute Why will future companies laugh at us? 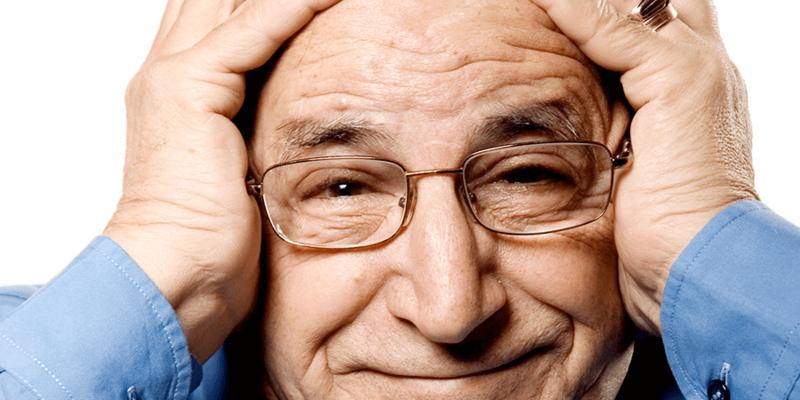 The AIM Institute > Insights > Blog > Organic Growth > Why will future companies laugh at us? Why will future companies laugh at us? Which “awkward realities” would cause future innovators to marvel at how long they went unchallenged? What older business practices look out-dated to you today? Perhaps high-pressure selling (e.g. ABC, “Always Be Closing”) … compared to consultative selling today? Maybe quality control inspectors … vs. statistical process control? How about using payback period to make investment decisions… instead of discounted cash flow? New practices seem to slowly “seep” through the business world, sometimes requiring two or three decades before broad adoption. This seems odd, since early adopters can reap major competitive advantages in improved quality, leaner operations, improved customer relations, etc. If you could “see the future” in one area, what would it be? 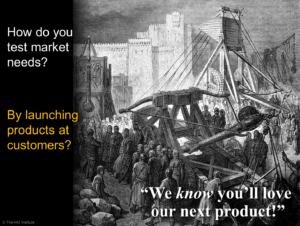 I’d choose customer-facing innovation… the fount of profitable, sustainable organic growth. Your advantage over competitors would almost seem unfair: They’d be stuck at the typical new-product success rate of 25%, while you’re delighting customers with one premium new product after another. Let’s imagine we could vault 20 years into the future right now, and look back at B2B innovation today. Which of today’s practices would be recognized as obstacles to profitable, sustainable growth? Which “awkward realities” would cause future innovators to marvel at how long they went unchallenged? Here are six on my list. 1. We test market needs by launching products at customers. Companies like to talk about the voice-of-the-customer… but most use “voice of ourselves,” creating product concepts in their own conference rooms. So when does the average supplier understand whether its solution meets market needs? That’s right… when it launches the product and sees if anyone buys it. I submit that launching products at customers is an incredibly inefficient approach to B2B customer insight. 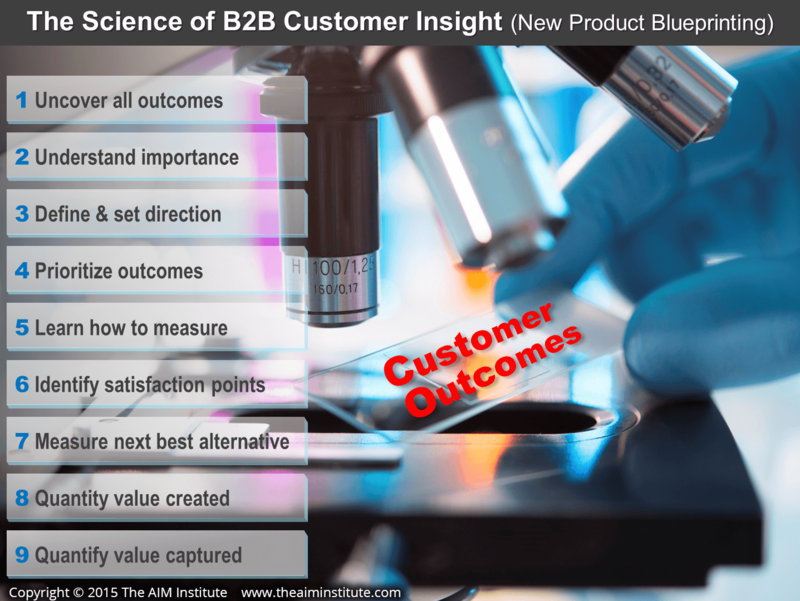 B2B customers have great knowledge, interest, objectivity, and foresight. They can tell us what they want before we start development … if we know how to ask them. Years from now, companies will be amazed that our innovation methods were so supplier-centric. 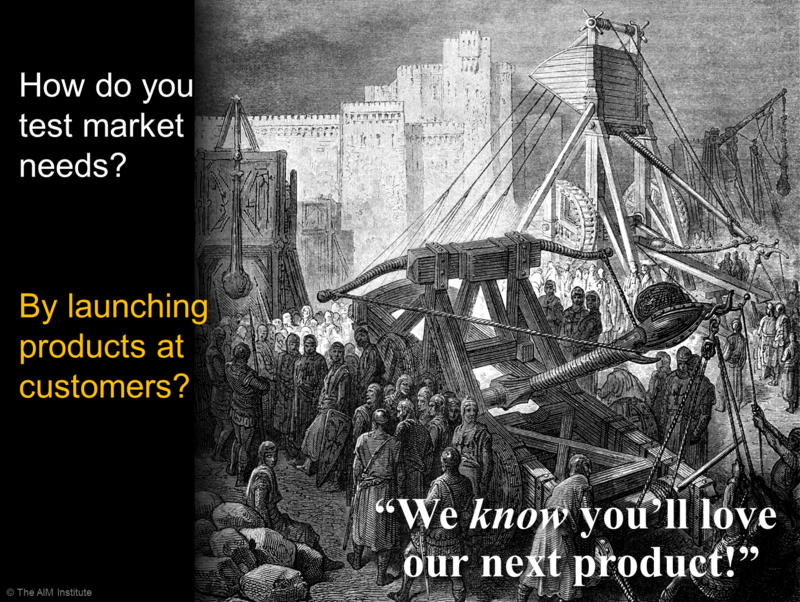 Surely the “catapult method” of B2B customer insight will be high on the list of today’s awkward realities. 2. We don’t understand what organic growth requires of us. In your annual operating plan, do you expect to grow faster, slower or at the same rate as the markets you serve? Faster, right? And I’ll bet your competitors plan to do likewise. As Dr. Phil would say, “How’s that been working for you? Truth is, there are three types of growth and you can only control one of them. The first is inherited growth from products launched long ago, which now “carry” your business. The second is market growth… the tide that lifts all boats. You can only impact the third—earned growth—by delivering real value to your customers. Don’t let the first two types of growth lull your management team into thinking it’s doing better than it is. Every year, purchasing agents and competitors are working hard to commoditize your specialty products… and only your team can stop them. You need to earn your growth by doing a better job than every competitor in understanding and meeting customer needs in any given market. 3. We misunderstand the proper role of stage-and-gate processes. Most companies expect their stage-and-gate process to do what it was never designed to do. It was designed to manage the interface between project teams and your company… for portfolio analysis, resource planning, risk reduction, tracking, etc. All good things. This is necessary, but not sufficient. By itself, your process fosters internal focus, analytical thinking, and a checklist mentality. At your next gate review, just ask team members how many hours they spent talking to customers… and how many hours talking to colleagues. 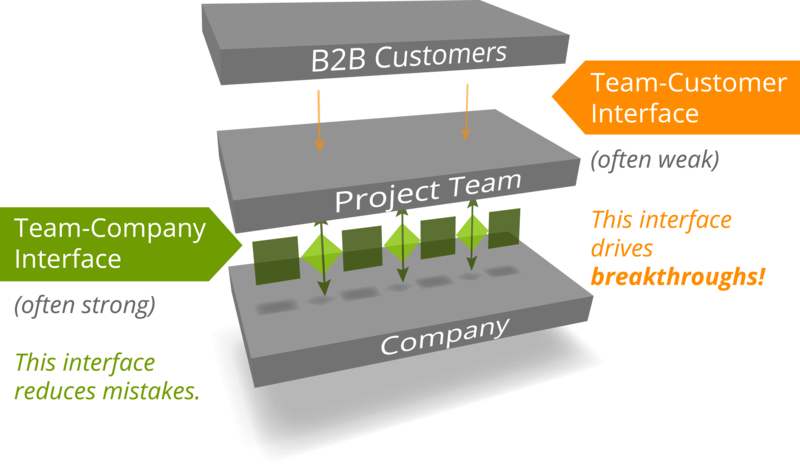 Keep your internal process, but build a strong “Team-Customer Interface” upon it: Ensure your teams have the customer-facing skills to understand market needs better than competitors. Your gate reviews will be much more rewarding. Instead of discussing what the team forgot on a checklist, you’ll discuss what they found in a customer interview. That’s what leads to blockbusters. 4. We interview customers to “validate” our hypothesis. The first problem with asking customers about your great new product concept is confirmation bias… interpreting new information in a way that confirms your existing beliefs. In your last performance review, I’ll bet you agreed with your boss’s praise more than his criticism. Unless you’re the rare exception, confirmation bias is hard to overcome. During customer interviews, you’ll “hear what you want to hear”… and this distortion is doing untold damage to your company’s innovation today. The second problem is that when you’re done “validating,” you probably think you have learned about market needs. You have not. You have only learned about market reaction. To a single idea. Your idea. It’s better to conduct divergent interviews, where customers give you dozens of desired outcomes… many of which you never expected. The AIM Institute’s experience in hundreds of global industries has shown that these unexpected outcomes often lead to the most exciting and valuable new products. 5. We fail to fully engage customers in our innovation. 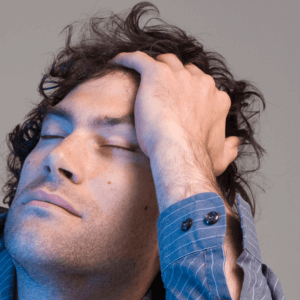 Many companies manage to bore customers with their voice-of-customer efforts. Do you like to answer surveys at home? How about at work, where you’re even busier? So imagine how customers feel about your questionnaires. Forget your list of brilliant questions. Instead, learn to brilliantly probe whatever customers want to tell you. They should lead the interview—and you should be fascinated by what they tell you. Think of it this way: Research shows the best sales pros ask customers questions such as, “What problems are you facing?” Why not ask this before you develop a new product—not just later when selling it? Such questions engage, so customers are “half-sold” by your launch date. And their answers let you create much better new products. 6. We are easily distracted from customer-facing innovation. You simply can’t get profitable, sustainable organic growth without strong customer-facing innovation. Quality and productivity initiatives are useful, but unless you are creating new value for customers, you’re in a race to the bottom. No matter how well you improve operational efficiency, you’ll eventually approach diminishing returns, competitors will catch up, and you’ll sink into the dismal quagmire of commoditization. Instead of chasing short-term BSOs (bright shiny objects), future winners will focus on developing growth muscles for the long term. Their employees will gain the skills and drive to enter customers’ worlds, and understand their outcomes (desired end results) far better than competitors. This is what New Product Blueprinting is all about: understanding customer outcomes at unprecedented levels. 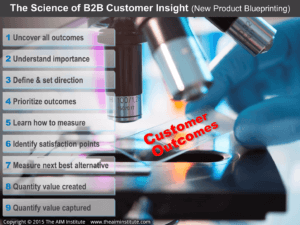 Blueprinting is the science of B2B customer insight. Just as a microbiologist puts a specimen under a microscope, so an outcome is studied in increasing detail. For each outcome, the “magnification” is turned up through nine levels, until the supplier approaches the same level of understanding as the customer. Relatively few companies do this today… but it’s the future for all of us. Download Catch the Innovation Wave white paper. Subscribe to Awkward Realities weekly blog. Contact us at info AT theaiminstitute.com. Article excerpted from B2B Organic Growth Newsletter Jul-Aug 2015.